David conducts Exultate Singers as it makes its London concert debut at the London Festival of Contemporary Church Music. 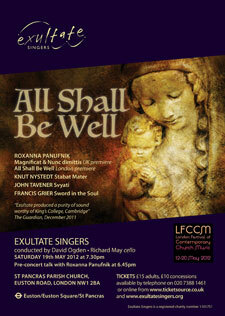 The choir will give the UK premiere of a setting of the Magnificat and Nunc dimittis which it has co-commissioned from Roxanna Panufnik, along with the London debut of her work All Shall Be Well. 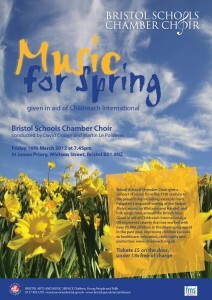 The concert also includes a performance of Francis Grier’s moving work for choir, organ and cello, Sword in the Soul. Tickets are £15 (£10 concessions) available online from the London Festival of Contemporary Church Music box office or Exultate Singers’ shop or by phone from 020 7388 1461. 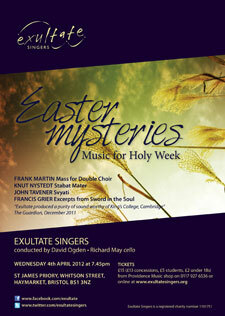 David conducts Exultate Singers in an exquisite programme of music for Holy Week including excerpts from Francis Grier’s moving work Sword in the Soul, Frank Martin’s sumptuous Mass for Double Choir and pieces for cello and choir with the cellist Richard May. 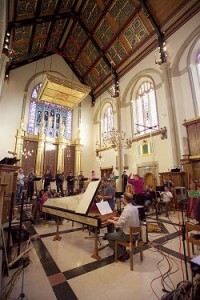 David conducts the RSCM Millennium Youth Choir as they record a new CD in the chapel of Tonbridge School in Kent. The CD will feature music by composers with RSCM connections including pieces by Thomas Hewitt Jones and Owain Park. 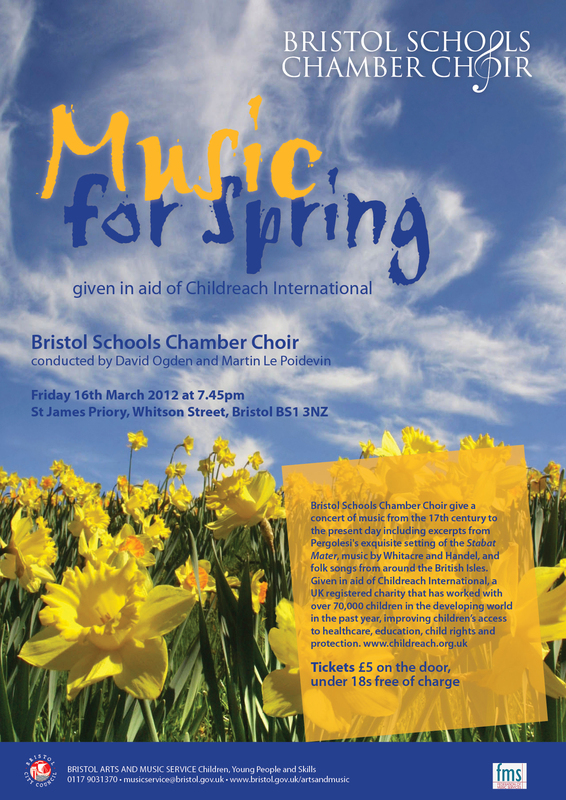 In the year celebrating the Diamond Anniversary of the accession to the throne of Queen Elizabeth II, City of Bristol Choir present a concert of music for Royal Occasions. From the anthems of Boyce, Purcell and Handel through to the music of Elgar, Vaughan Williams, Parry, Walton and more recently John Rutter and Paul Mealor, this concert for choir, organ and brass is a wonderful celebration of British music and the role of the monarchy through the ages. David conducts Exultate Singers in a concert given in the marvellous acoustic of the central hall of Bristol Museum & Art Gallery. 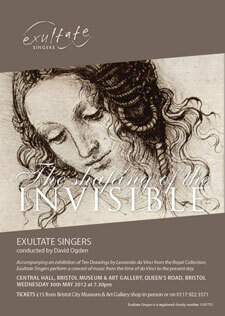 The concert will accompany an exhibition of Ten Drawings by Leonardo da Vinci from the Royal Collection which is being toured around the country and being shown at the museum from 31 March until 10 June. Organised in collaboration with Dr Jenny Gaschke, Fine Art Curator at the museum, we will perform a programme of music inspired by the work of Leonardo from the 16th century to the present day including madrigals and motets by Monteverdi, Palestrina, Gabrieli and Whitacre. Audience members will be able to view the exhibition in a timed slot either before the concert, during the interval, or after the concert. Tickets are £15 and go on sale at the beginning of March from the Museum shop in person and by telephone on 0117 922 3571. David leads an inspiring Come and Sing day for All4Music, the education arm of The Bristol Ensemble. Come and sing Royal Music in celebration of the Queen’s Diamond Jubilee. Music by Handel, Purcell, Elgar, Parry and Stanford including Zadok the Priest and Parry’s I was Glad which was sung at the Royal Wedding in 2011. An uplifting day’s singing with David whose boundless enthusiasm and wonderful humour will inspire you to sing whatever your level of experience!